Legendary jazz saxophonist and New York City native Sonny Rollins lived in an apartment on the Lower East Side home for many years during the late 1950s. 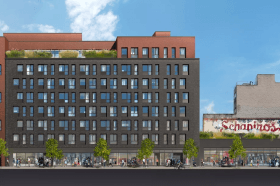 Although the building he called home has long been demolished, the sprawling development rising on the same site, Essex Crossing, will pay tribute to the iconic artist by naming one of the buildings after him. The Rollins, a 15-story rental building at 145 Clinton Street, sits near the entrance of the Williamsburg Bridge, a spot where Rollins practiced every day for two years. 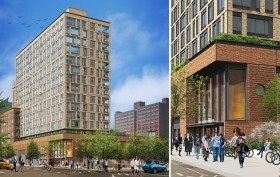 As the New York Times reported, the Rollins, designed by Beyer Blinder Belle, will include 107 market-rate apartments, which start at $3,150 for a studio, $4,450 for a one-bedroom, $5,800 for a two-bedroom and $8,450 for a three-bedroom. 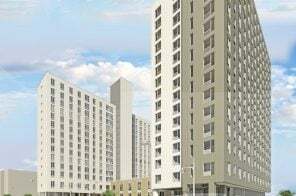 Leasing will begin in January for these market-rate units. 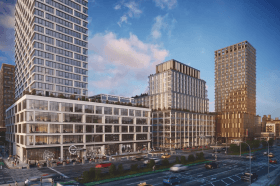 Thanks to a $34 million loan from Wells Fargo, Delancey Street Associates closed last week on financing the construction of a 100 percent affordable senior building at 140 Essex Street, site 8 of the 1.9 million-square-foot Essex Crossing development. 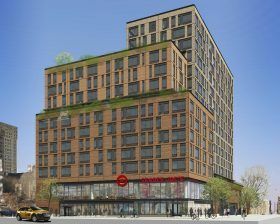 Originally, the project called for an 80/20 condo building, but developers decided to add 61 more affordable units to the building, bringing the number of affordable rentals at the Lower East Side complex to 561 out of 1,078 total units. 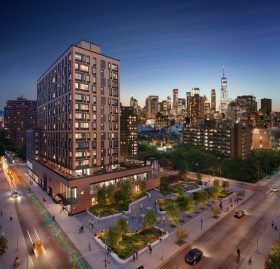 Designed by Beyer Blinder Belle, the building at 140 Essex will rise 8 stories and include 92 affordable homes for seniors earning between 0 and 60 percent of the area median income, as well as 9,600 square feet of retail on the ground floor. 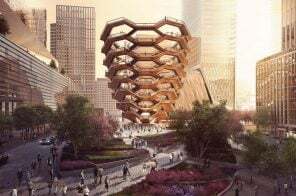 Construction will begin soon, with an expected opening date sometime in 2019. New York City is experiencing a Target-takeover. 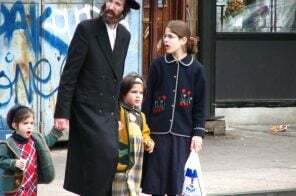 The retailer has just signed a lease to open a 22,500 square-foot store in the Lower East Side at Essex Crossing, a 1.9 million-square-foot development stretching across several Manhattan blocks. 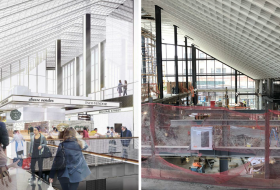 As the Wall Street Journal reports, the new store will be located on the second floor of 145 Clinton Street, a 15-floor tower currently under construction. A Trader Joe’s supermarket will be on the lower level and apartments will be housed above.